All Ira Pettle needed was a nice place to live. It just so happened that the landlords of the apartment he found in Toronto were religious Jews. Ira admits that he felt uneasy renting from people whom he felt would surely look down on him as a secular Jew with precious little connection to his heritage, but the price was right, the location was great, and the basement was fairly new, so Ira overcame his hesitations and became the tenant of the Drebin family of Toronto. His relationship with the Drebins was cordial, maybe even a bit friendly, but basically limited to their monthly meeting when his rent was due. One sunny day in April, there was a knock on the adjoining door between the basement and the upstairs. Eli stood there hesitantly, holding a small yellow post-it note. “Ira,” he began, “we’ve had a few conversations about Jewish issues lately, and I’ve noticed that you seem to be interested in learning more. Well, there’s a guy Rabbi Sapirman who is really great at answering all these questions and has a lot of experience dealing with people like you. I wrote down his number for you in case you ever want to reach him.” Ira stuck the note on his computer desk, thanked his well-meaning landlord, and promptly forgot the entire conversation. Several months later, as Ira was spring-cleaning his apartment, he came across the note. After a moment of deliberation, Ira threw what may have been his only chance at a meaningful life into the garbage can near his desk. A few months later, Ira was in line at a bank waiting to make a deposit. He was feeling pretty good about himself, having just successfully completed a large job in his profession. Suddenly, he felt a tap on his shoulder. He turned around and found himself face-to-face with a bearded man in a black hat. “With a smile like yours,” the man said, “I must know your name!” “I’m Ira Pettle,” he gamely replied. “Who are you?” “My name is Rabbi Sapirman.” Ira could literally feel his heart begin to pound. “It was at that moment,” he says, “that I felt G-d. The undeniable Divine intervention took me to another place spiritually. I knew I had to act!” Ira set up an appointment to talk with Rabbi Sapirman the very next day and, less than twenty-four hours later, Ira Pettle, who knew next to nothing about Judaism, found himself the proud owner of a Stone English translation of the Bible. His journey had begun! Two weeks later, Rabbi Sapirman called Ira and told him about an exciting three-week trip to Israel being offered to college students by The Jewish Learning Exchange program at Ohr Somayach. At the time, Ira, an aspiring actor, had just landed a part in a major play called “Joseph and the Amazing Technicolor Dreamcoat.” It told the story of Joseph and the his ten brothers. Feeling the Divine pull of Israel, Ira gave up his part in the play and found himself flying off to learn more about Judaism. Upon his arrival in synagogue that first Shabbat in Israel, Ira was stunned to learn that his search for religion had begun on The Torah portion of Mikeitz, the very portionthat describes the story of Joseph and his brothers! Once again, he could feel the hand of G-d in a very personal way. A mere three months later, Ira spent Shabbat right here in Lakewood, along with close to eighty college students from all across the country. These students had joined together for an inspiring Shabbat that heralded the creation of a brand new frontier in the world of outreach. Here is the story behind the incredible Shabbat that captured the hearts of the Lakewood community, the Shabbat that has left an indelible mark on old-timers and newcomers to Judaism alike. In July 2006 a group of religious professionals set off on a pioneering mission. Led by Danny Lemberg, a prominent Lakewood businessman, their goal was to spend a week in Israel together with a group of college students on a Jewish Learning Exchange (JLE) trip to Ohr Somayach in Jerusalem. Approximately four times a year, Ohr Somayach sponsors trips that bring scores of North Americans to experience Israel and to learn more about their roots. On this particular trip, the students joined with the group of “mentors.” They spent a week interacting together as the students explored the world of the Torah Jew. Admittedly, the idea was to give these professionals a taste of the world of outreach and a chance to get involved in a meaningful way. But no-one expected what happened next. The mentors found that they were more than simply impressed by the scope of the operation; they found themselves enjoying every minute of their roles in the program. The outreach professionals were amazed to discover the natural connection these students formed with their new role models, individuals who were successful in the business world, while at the same time living a Torah-true lifestyle. Close relationships were forged with their new students and, as the unbelievably successful trip drew to a close, the mentors found themselves personally uplifted and yearning for more opportunities to make a meaningful impact on the lives of others. Thus was born Mentor Missions, a revolutionary organization that has already begun to change the face of the world of outreach. Following up on the outstanding success of the first trip, a second group headed off to Israel this winter. They were joined by Rabbi Yerucham Olshin, the dean of Beth Medrash Gevoah in Lakewood, NJ who went to give moral support to the students of Ohr Somayach in Jerusalem, as well as to the participants in the JLE group. The group spent a memorable Shabbat together in Tzefat, delighting in the mystical aura of the holy city. Once again, the group of mentors left on a high, already planning their next trip. Slowly, an idea began to develop. Could they possibly recreate the incredible Tzefat atmosphere back home in Lakewood? The group of mentors met to discuss the possibility of a Lakewood reunion, in which the students of the two trips would be brought back together with their mentors for another Shabbot experience. Arrangements were made and myriads of details were attended to, clearing the way for what was shaping up to be a Shabbot to remember! Ateres Yeshaya was a bustling hub of activity as last minute details were locked into place in advance of the anticipated arrival of the Shabbaton participants. The hosts, former mentors from the first two missions, along with a new group of local families, stood by, as they awaited their guests. All told, close to fifty Lakewood families opened their homes on behalf of the participants in the mission. These hosts were religious families with little or no background in outreach who shared a common ideal: a desire to do anything possible to help give these young men a positive introduction to Judasim. Finally, the long awaited moment arrived. The vans, carrying students who had flown in from colleges all across the country and Canada, pulled into the parking lot. After a hot lunch and a short orientation, the guests met up with their hosts and went off to their homes to prepare for Shabbat. In the synagogue the Kabbalat Shabbt was led by R’ Moshe Brodt. Using a combination of Chassidic songs and Carlebach renditions, he captivated and inspired the crowd, who joined along with enthusiastic dancing. By the time the davening concluded, over two hours later, the ice had definitely been broken, as the mentors and students sat down together for the Shabbat meal. If any feelings of awkwardness remained, they were quickly dispelled by Rabbi Dovid Orlofsky, who addressed the crowd, as only he can, using humor as the medium to deliver his message. Following the meal, Rabbi Dovid Gottlieb, a senior faculty member at Ohr Somayach and a leader in the field of outreach, hosted a Chassidic-style tisch-gathering. Lasting well into the night, the tisch combined heartfelt singing, words of Torah, and an overall feeling of unity that left the guests and mentors uplifted and yearning for more. After the morning Shacharis and a gala kiddush, the mentors got a chance to really give their guests a taste of the sweetness of Torah when they sat down to learn together for an intensive chavrusa - learning session. His entrance into the room was an inspiring sight as the students, clearly in awe, became instantly quiet and attentive to his every word. Rabbi Salomon noted that “it is not a coincidence that you landed in Lakewood on the Shabbat of the giving of theTorah!” In his trademark warm and caring style, Rabbi Salomon explained that the Torah is not just a book of restrictions. Rather, just like the signs warning people not to approach Mount Sinai were there to protect the Jewish Peoplefrom danger, the restrictions in the Torah are not restrictions at all; they actually offer protection from spiritual dangers that can harm us irreparably. The Melava Malka concluded with spirited dancing, as the mentors and their guests, by now close friends, enthusiastically joined together, creating a feeling of joy and fulfillment that lasted well into the night. The night became even more meaningful when Rabbi Yerucham Olshin came in to reunite with his new students. The dancing suddenly took on a new dimension as the connectionformed months ago in Israel was strengthened in America. As the night drew to a close, it was readily apparent that all barriers between the two groups had been shattered, leaving behind one harmonious family eager to grow together. On Sunday morning the group joined together once again for Shacharis. It was incredible to witness the intense emotion and feeling as several of the students donned tefillin for the first time. After breakfast Rabbi Dovid Gottlieb gave a class based on the Torah outlook on the pleasures of the world. He was followed by Dr. Rich Roberts, president and CEO of a large pharmaceuticals company, who discussed some of the positive aspects of being a religiousJew in the corporate world. The trip wrapped up with a tour of New York. Only then did the exhausted students board their planes with much to ponder. At the same time, they were secure in the knowledge that their new “family” in Lakewood would be ready to help them anytime, anywhere. Was the Lakewood reunion a success? R’ Avromi Neuhaus, project coordinator for Mentor Missions certainly thinks so. “The Shabbat by far exceeded our expectations. The energy and excitement was there from the first minute, and it never let up. Already, R’ Moshe Brodt received a call from a student who was here for Shabbat who asked if Rabbi Brodt could set up a learning session for him twice a week! The hosts were all fabulous. Not only did they give of themselves, but they gained so much from the experience as well. I can’t tell you how many calls we received from hosts who want to know when the next Shabbat is. In fact Mr. Lemberg received several calls from friends and neighbors who complained that they weren’t asked to get involved and act as hosts. The strong bonds that the mentors formed with their guests are proof positive that you don’t have to be a outreach professional to introduce someone to Judaism. You can be a regular guy with a regular family and really make a difference simply by sharing a Shabbat with a less knowledgeable Jew. 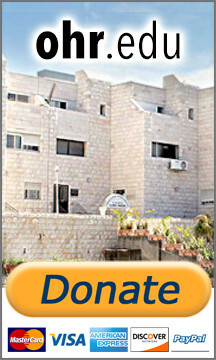 Ira plans to spend this coming summer learning in Ohr Somayach in Jerusalem. If you happen to be in the neighborhood, drop in to see him. He’d love to meet you!